It’s Wednesday again and you already know what that means. We’re hosting a giveaway. This week’s copies are from Seagull Books (University of Chicago Press). For this year’s German Literature Month I have the opportunity to give away two copies of Christa Wolf’s August, translated by Katy Derbyshire. 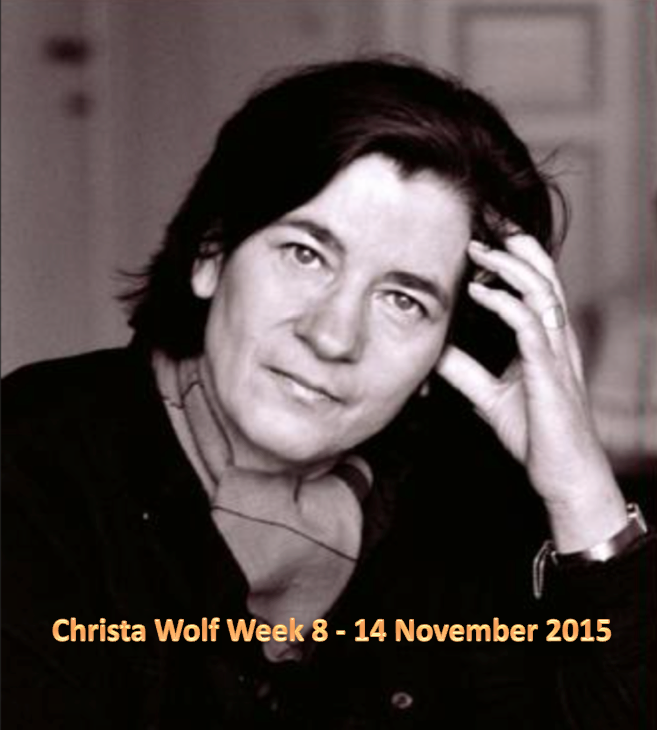 Since I’m hosting a Christa Wolf week this year, I’m particularly pleased about this giveaway. If you are interested in winning this book, leave a comment, telling me why you’d like to read it. The competition is open internationally. The winner will be announced on Saturday October 31 2015, around 18:00 Central European time. You write interestingly about her. She sounds very brave. She has an arrestingly powerful face. That’s three reasons to be going on with! Christina Wolf sounds like another writer that I would like to read. Reading her biography I am thinking how hard to imagine being a writer under a totalitarian regime that is hostile to one’s work. Oh, I don’t know this one; I’d be interested to read it. I only discovered Seagull Books a short while ago, and I really like their catalog. I am so excited for German Lit. month! I have been looking at the German Lit. offerings from Seagull books and wondering which one to start with! This looks like a great one! Sounds wonderful — “a quiet life well lived.” I would love to be introduced to this author and publishing imprint through this book. Wonderful to see so much interest. @Vishy – that’s too bad. Count me in. I appreciate that this is an international giveaway (although I’m now in Europe). Looks like I’ll be able to participate in German Literature Month since I decided not to do NaNoWriMo this year. Thanks for the chance. I’m glad you’ll join us. I forgot to write why I’d like to read this. First of all because I never heard of this author so I’m intrigued and second because even though I generally stayed away from books about war, “The Book Thief” and “A Time to Love and a Time to Die” have slowly changed my perception. Wolf is a wonderful writer, I’d love to read this one. I agree, althogh I’m chewing on Christa T at the moment. Not her easiest. Hello, I am planning to take part this month and to that end I have been collecting a number of prospective German titles (I won’t get through them all I am sure). Four of my five Seagull purchases to date have been German lit and this is one I have eyed. I have only recently become aware of this author as my interest in German lit has been rapidly expanding and I would be interested in reading this book because sadly I do not have many female authors among my present collection. Oh, and because Seagull Books are simply fantastic. Welcome to German Literature Month. 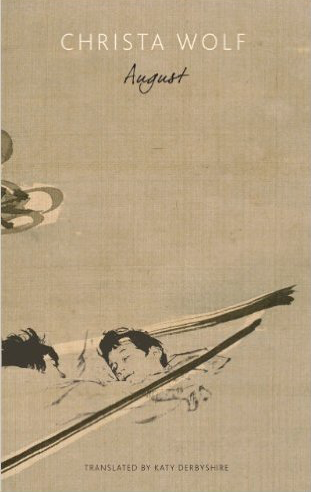 A quiet well lived life, told in taut, affectionate prose. Sounds like well baked bread with a rose. Well, that’s another way of saying it.